A huge project by FFG forum user Yepesnopes is finished. 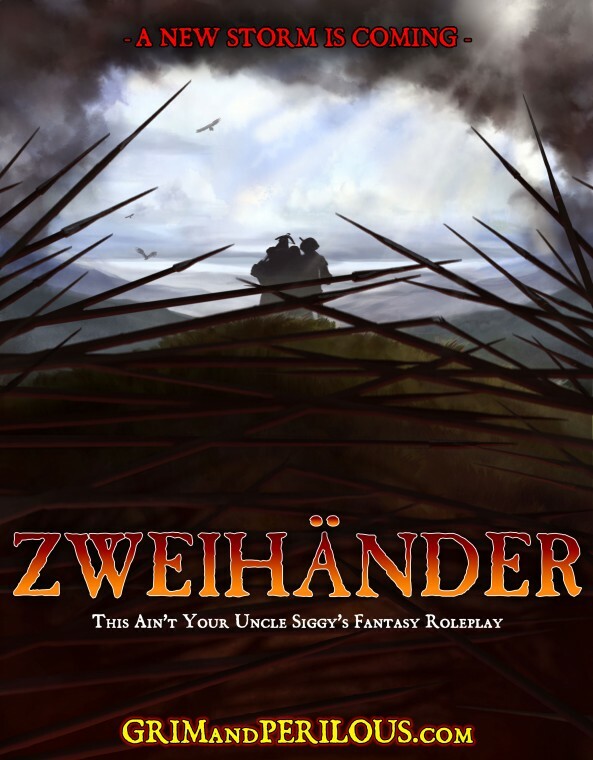 This tremendous work is nothing less than a major league supplement for WFRP3. It introduces the Asur (or the High Elves) for players and GMs alike and includes careers, items, pets and a complete the book. After three editions of Warhammer fantasy role play game, three different editions of Dwarf supplements (they have even a magazine called White Dwarf), and no Elf supplement at all; in this times where we are working to correct gender discrimination, I decided to work to correct race discrimination! In this fan project you will find the recompilation of the recent history of the Asur and some of their most fabled heroes, descriptions of the different regions of Ulthuan and house rules for regional features of the Asur, Elven culture and religion, a short description of Elftown the largest high elf settlement in the land of men, house rules for High Elf nobles in the harsh Empire lands, and the role of high magic in the Asur every-day life as well as house rules for High Magic apprenticeship. All this is supported by several new careers and some already existing careers re-edited with an elf flavor. The Book has been uploaded to the vaults of the Daily Empire and it can be downloaded HERE (zip). Liber fanatica usually come up with new cards or even new cards types. LF7 was published along his own Strange eons plugin (built by Sunatet and Jussi). I resumed their work, to add LF8 cards as well as brand new card types (ideas from FFG forums or LF discussions). this extension is still under construction, since you folks always have thousands of new great ideas. Some updates are most likely to come up, with new stuff or existing stuff improvments. Feel free to ask for improvements/new cards and report any issues you could have. copy w3e.seext in there and reload Strange Eons. 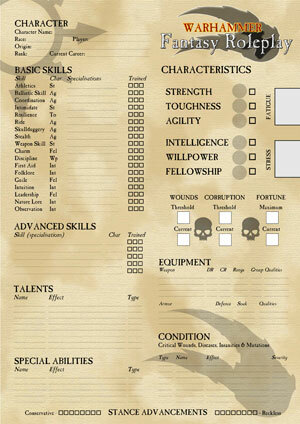 Once upon a time there where no good alternatives for the character sheet of WFRP3. And then all of a sudden there are three! Gitzman’s sheet is still a bit “under construction” but it already seems really good. The other two sheets are Doublehex’s (he has kindly enough allowed me to host his sheets on the Daily Empire) and my own. Liber Fanatica 8 is ought! This magnificent piece of fan-work goes to show what can be done when a game is interesting enough to gather a bunch of likeminded gamers to enchance the experince. I am proud to have been part of this. So much in fact that I’m working on the next LF too. Hopefully we’ll get more interested writers, artists and proof-readers after this issue.